Ankum, Germany—Lisa Wilcox and Pikko del Cerro HU began their first European training and competition tour together in style last weekend at the CDN Hagen. Wilcox and Pikko del Cerro HU (by Pik L x Rohdiamant) bested the international field in both the Grand Prix and the Grand Prix Special, winning impressively with scores over 70%. 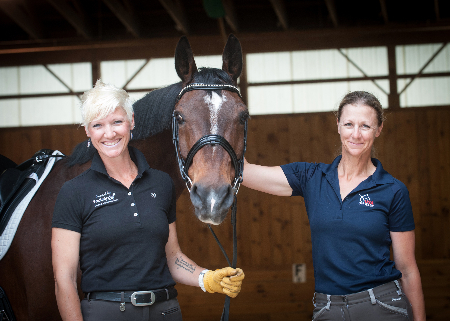 The 2013 CDN Hagen was the first time Wilcox has contested a Grand Prix on German soil in six years, and the very first time for the 10-year-old American-bred Hanoverian stallion. 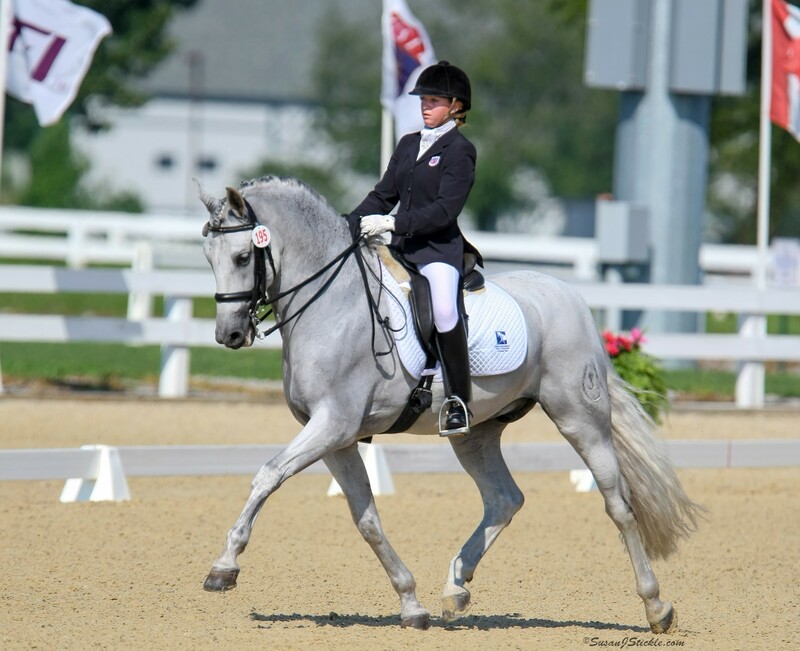 Winning both days aboard Horses Unlimited’s Pikko del Cerro HU was not the only accomplishment for Wilcox during her return to the German horse show scene. She also received excellent placings on her second mount Denzello (by DeNiro x Rohdiamant). The freshman Grand Prix gelding, owned by Canadian Betty Wells, placed third in Saturday’s Grand Prix and fourth in the Grand Prix Special. Wilcox, Cerro and Denzello traveled to Germany to train and compete during the first part of the indoor European World Cup qualifying circuit. Based at Britta and Klaus Thormählen’s facility near Hamburg, and coached by long-time trainer Ernst Hoyos, the group is determined to make the most of their time in Europe. Wilcox plans to compete in three CDI’s before returning stateside in December. 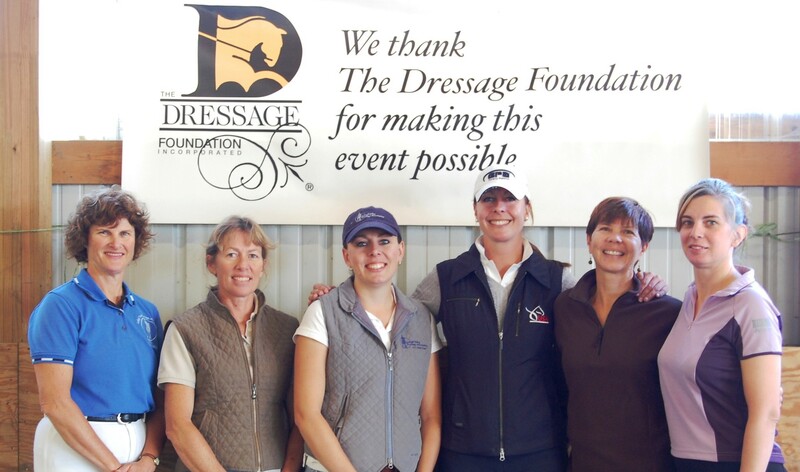 The first competition at the CDN Hagen was selected for several reasons. “The arena is where the famous PSI Auction is held each year. I felt that experiencing that atmosphere would be good preparation for our first European CDI-W in Odense, Denmark” explained Wilcox. The indoor arena with its large, surround seating was a new experience for both horses. “As you ride, you ride straight at the crowd sitting behind the judges.” Those types of circumstances can be challenging for even the most seasoned horse. Clearly Wilcox and her mounts were up to the task. 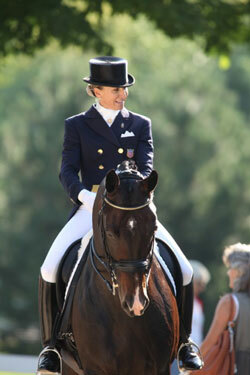 Denzello will accompany Pikko del Cerro HU to all three competitions in the coming months. “The “Rohdi Bros” are neighbors in the stable at home and it is ideal that they can hold each other’s hand on the road as we go from show to show. I call them the “Rohdi Bros on the Road,” joked Wilcox. The “Rohdi Bros” and Wilcox make their next stop in Denmark on October 18, 2013.